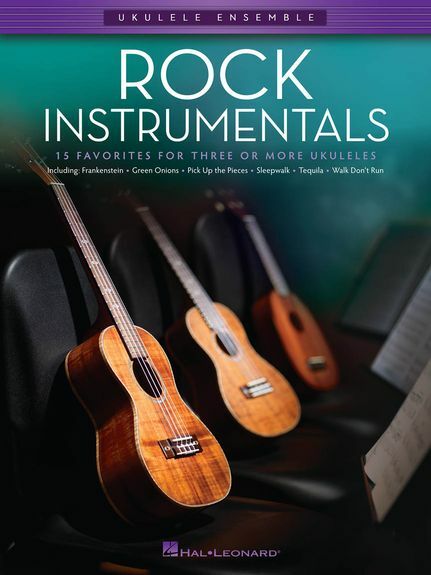 The songs featured in Ukulele Ensemble: Rock Instrumentals collection are playable by any combination of Ukuleles (soprano, concert, tenor or baritone). Each arrangement features the melody, a harmony part, and a “bass” line. Chord symbols are also provided if you wish to add a rhythm part. For groups with more than three or four Ukuleles, the parts may be doubled. This volume features 15 great Rock Instrumentals including Tequila, Pick Up The Pieces, Wipe Out and many more.